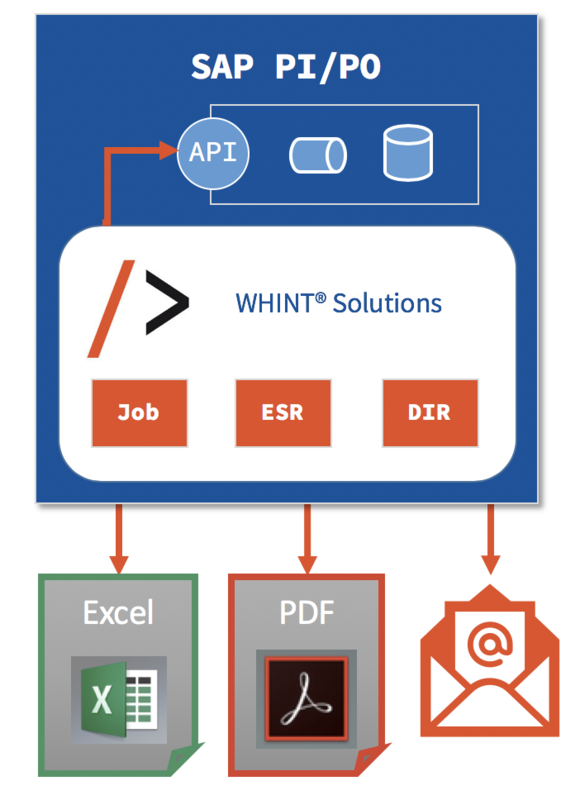 WHINT Interface Management Solutions are being installed on existing SAP PI/PO installations as integration content. They consist of NWA jobs (WHINT MessageTrigger Job), ESR Content and Integration Directory configuration. 1. Local Installation (recommended): The solutions are installed on each environment (Dev, Qas, Prod) and call the components and APIs of its own domain (locally). 2. Central Installation: The solutions are installed in Dev only and call also the other domains (Qas & Prod) remotely. 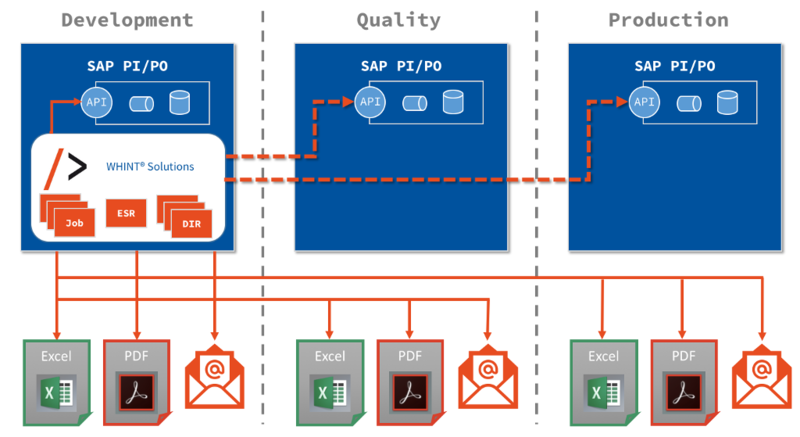 The ESR content is only imported once, however the job scheduling and directory configuration has to be performed individually. 3. Mixed Installation: The solutions are installed in Dev and Qas. Qas also calls Prod remotely in addition to Qas locally. The ESR content is imported in Dev and Qas only, the job scheduling and directory configuration has to be performed individually (Once in Dev and twice in Qas). We recommend the local option (1), as you can run the solutions individually and you are able to test the solution in dev before updating Qas or Prod. However, the test option is still available in the mixed installation (3). Main advantage of options (2) and (3) are to avoid creating integration content in production. Main advantage of option (1) however is to have the same SLAs and system availability especially to perform reliable monitoring & alerting. 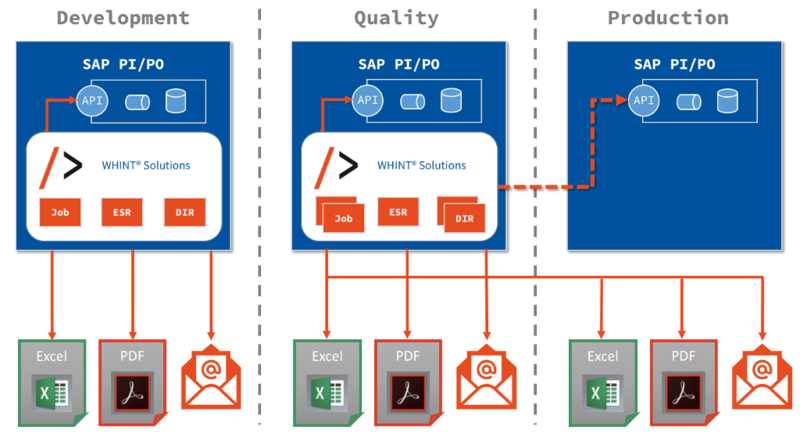 Except for the import of ESR content and the deployment of the SCA for the job, the effort to configure and maintain each solution is equal across all installation options.